The Important Records label has posted a gorgeously minimal swath of barren ambient music off a release by Bass Communion (Steven Wilson) and Freiband (Frans de Waard). It is like digital marbles let lose over and over in some dark, dry space, a space whose contours seem to expand and contort as the piece continues. It opens in near silence, and it isn’t so much that it gets louder — though it does — as that the silence gets closer and more consuming. Track originally posted at soundcloud.com/importantrecords. More on the release, titled simply Bass Communion / Freiband, at importantrecords.com. More from Wilson at stevenwilsonhq.com and de Waard at fransdewaard.com. One chord to rule them all â€” on several instruments. 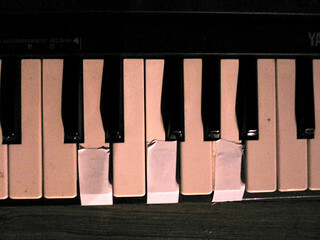 Each Thursday in the Disquiet Junto group on SoundCloud.com and at disquiet.com/junto, a new compositional challenge is set before the group’s members, who then have just over four days to upload a track in response to the assignment. Membership in the Junto is open: just join and participate. This assignment was made in the afternoon, California time, on Thursday, August 27, 2015, with a deadline of 11:59pm wherever you are on Monday, August 31, 2015. One chord to rule them all — on several instruments. 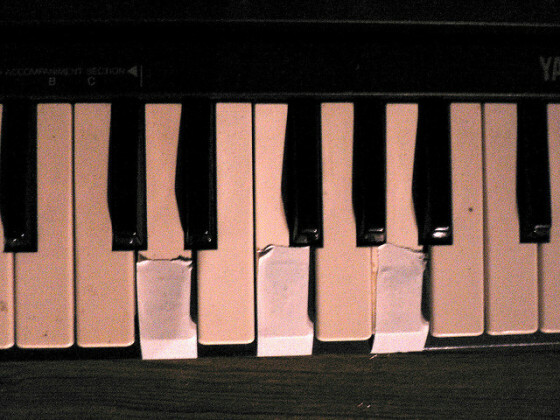 Step 1: Choose a chord you can play on several instruments. You can choose any chord you’d like. Step 2: Make recordings of yourself playing that just chord on several instruments. Step 3: Edit those individual recordings into one long continuous track, in which the chord slowly (and smoothly as possible) changes from one instrument to the next. The complete length of the finished track should be about one minute. Step 4: Upload your completed track to the Disquiet Junto group on SoundCloud. Step 5: Then listen to and comment on tracks uploaded by your fellow Disquiet Junto participants. Deadline: This assignment was made in the afternoon, California time, on Thursday, August 27, 2015, with a deadline of 11:59pm wherever you are on Monday, August 31, 2015. Length: The length of your finished work should be approximately one minute. Upload: Please when posting your track on SoundCloud, only upload one track for this assignment, and be sure to include a description of your process in planning, composing, and recording it. This description is an essential element of the communicative process inherent in the Disquiet Junto. Photos, video, and lists of equipment are always appreciated. Title/Tag: When adding your track to the Disquiet Junto group on Soundcloud.com, please include the term “disquiet0191-heldchord”in the title of your track, and as a tag for your track. There’s a fly in JoÃ£o Ricardo’s ointment. The ointment is a dense, flowing expanse of minimal techno. It is all churning, elegantly desiccated haze. There are whorls within whorls, and a thudding backbeat that is as cloudy as it is fierce. The fly is a little bit of noise, like a bad seam in a looped sample, or the click of a turntable where the needle is stuck at the record’s end, or a bit of static on the phone that makes you think someone is listening in. It’s a tiny little irritant that turns the haze — the track is titled “Fugue” — into something more foreboding, more anxiety-provoking, more compelling. Track, from his album Soon off the Arctic Dub label, originally posted at soundcloud.com/ocp. Ricardo goes by ocp, an acronym that expands to “operador de cabine polivalente.” More from him at joaoricardo.org. Get the full album at davewesley.bandcamp.com. Both Arctic Dub and ocp are based in Porto, Portugal. At the end of every video shoot, the recording engineer calls “room tone” and everyone sits or stands in place, in silence. Usually there is someone on the shoot who doesn’t know what “room tone” means. They know enough, though, to stay silent until the engineer announces that enough audio has been captured, enough of the space’s inherent sound, its sense of space, its echo, its ambient foundation. I like figuring out who is unfamiliar with the term “room tone” and then discussing the concept with them. It isn’t, by any means, difficult to grasp that such a tone would be useful. Say you want to place a title card in the video. If you have no sound, then the viewer would experience a sudden drop in sound when the title card appears and a sudden sonic jut when the footage cuts back in. Discussing these two different silences — digital silence and room silence — always makes for a good conversation starter. In the right company, it extends into a broader consideration of assumptions about the concept of silence, how it is a platonic ideal, not a physical reality, as well as to how various types of silence — an echoing space, the light chatter of a workplace, the random intrusions of street noise — lend their own meaning. An ongoing series cross-posted from instagram.com/dsqt. Can You Hear the Arctic? And can you play the arctic? Ask Karen Power and John Godfrey. For some reason, the track page for this live improvisation by Karen Power and John Godfrey isn’t allowing me to embed it here. So, to hear it, head over to Power’s SoundCloud page, at soundcloud.com/karenpower. 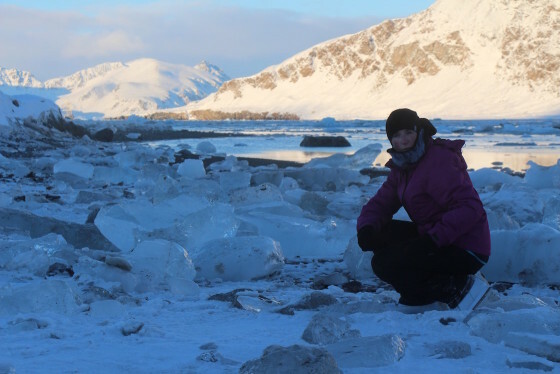 Earlier this year, back in January, Power worked with Joyce Majiski on an installation at the Yukon Arts Centre titled Inside the Glacier. Both of the women were part of an Article Circle Residency Program expedition to the Yukon to collect sounds and develop art from them. This recorded performance teamed Power with musician John Godfrey, and together they, through live improvisation, developed a sonic response to the Yukon soundscape that emanated from another room in the gallery where this was all recorded. Their initially tentative plucks and whirs emerge from the winds and watery sounds of the arctic audio documents. At times the sounds are distinct from the sourced audio, but much of the time their playing achieves a naturalistic presence: strange birds in strange weather. Track originally posted at soundcloud.com/karenpower. More from Power, who has a PhD in acoustic and electroacoustic composition from SARC (Sonic Arts Research Centre) in Belfast, Ireland, at karenpower.ie. More on the installation at yukonartscentre.com. Photo up top by Tina Kohlmann, from the British Library site at britishlibrary.typepad.co.uk.